This is a guest post by Brian Henerey, from Sony Computer Entertainment Europe. via Building a Devops team –. I really love this definition…. via What DevOps Is Not — Agile Web Development & Operations. We are facing mounting social, environmental and economic problems. A lot of us want to work toward solving them and we are learning that these problems are interconnected, and complex. We are trying to solve these problems using organizational structures that were invented before the light bulb! Industrial-age organizations are not smart or flexible enough to navigate the challenges we are facing. To change our world, we need a new agreement of how we work together. How we make decisions. How we decide on who gets to work on what. And who gets paid what. 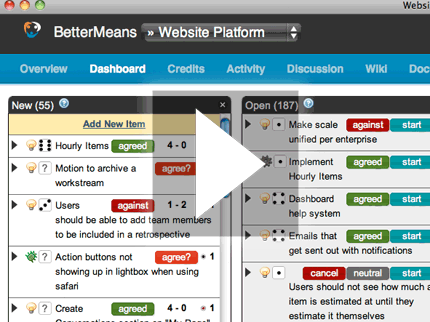 via BetterMeans – Open and Democratic Project Management.